Home » » Little Orbit Announces Young Justice: Legacy Video Game! 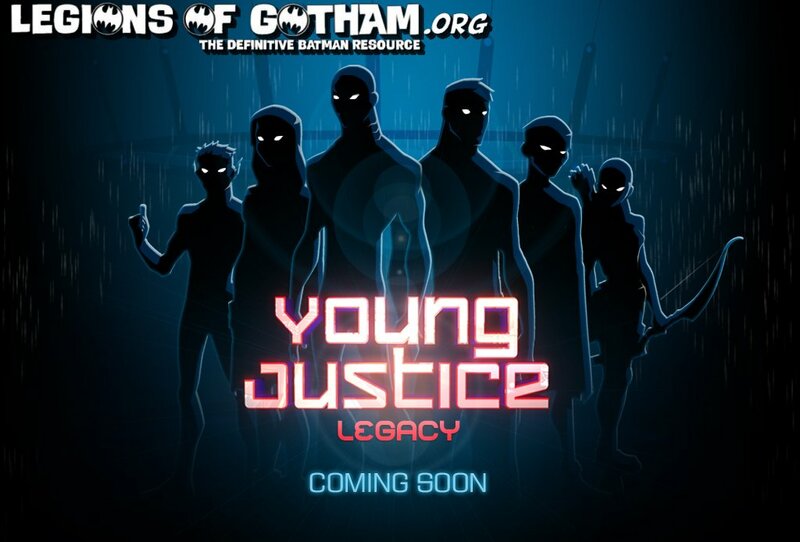 Little Orbit Announces Young Justice: Legacy Video Game! Little Orbit, a worldwide game publisher, announced today that it has entered into a licensing agreement with Warner Bros. Interactive Entertainment for the Young Justice: Legacy video game set to ship in early 2013 for PlayStation®3 computer entertainment system, the Xbox 360® video game and entertainment system from Microsoft, Nintendo's Wii(TM) system, and the Nintendo DS(TM) hand held system. New episodes of the Warner Bros. Animation series Young Justice will air beginning Saturday, March 3, at 10:30 a.m. ET/PT on Cartoon Network as part of DC Nation, the network's brand-new one-hour block of exclusive kids' television programming and shorts based on DC Comics characters. In Young Justice, teenage heroes Robin, Aqualad, Kid Flash, Superboy, Miss Martian and Artemis are tasked by the Justice League to act as their covert operations team. Armed with superior skills, weaponry and powers, the team must do battle against a wide array of villains from the DC Universe while trying to prove to themselves, and to their superhero mentors, that they too have what it takes to be a hero. Their journey is further complicated when they face the many unpredictable obstacles that arise in their path from inexperience and youth. In Young Justice: Legacy fans can look forward to an original storyline set in between Seasons 1 and 2 of the television series, written in collaboration with show writers Greg Weisman and Brandon Vietti. The game is packed with fan favorite playable characters, cameo appearances by popular Justice League heroes and villains, and includes online multiplayer as well as local multiplayer modes. "The TV series is a fantastic combination of compelling writing, witty humor, iconic art, and exciting action sequences. The creators have done an amazing job blending over 180 DC Comics characters into their show filtered through a new, youthful perspective," said Matt Scott, CEO of Little Orbit. "The new video game contains a slew of cool features and a large playable cast of familiar heroes, but our core mission is to create a unique experience that fits seamlessly into the world of the show and offers a new way to interact with these popular DC Comics characters." Little Orbit is a worldwide video game publisher formed in January 2010 with a focus on creating family friendly entertainment products. The company's emphasis is on creating engaging, easy to play game content based on highly visible brands for all gaming platforms. Little Orbit has a unique history assisting major entertainment and product companies to leverage their brands through emerging game channels to help grow and engage consumers. Founded by industry veterans and key development, sales and marketing personnel, Little Orbit is focused on three primary channels of distribution including traditional game retail, non-traditional retail channels, and digital download over the various platform networks. Warner Bros. Animation (WBA) is one of the leading producers of animation in the entertainment industry, with an innovative and talent-rich roster boasting some of the most accomplished writers, producers and artists working today. The studio is on the cutting edge of animation technology and has both CG and traditionally animated projects in current production and development. For TV, WBA produces series such as Green Lantern: The Animated Series, The Looney Tunes Show, MAD, Scooby-Doo! Mystery Incorporated, ThunderCats and Young Justice, for Cartoon Network. WBA also produces series and additional original content for Cartoon Network's multiplatform branded DC Nation programming block, which debuts in March 2012. In addition to TV programming, WBA produces theatrically released CG cartoon shorts featuring iconic Looney Tunes characters, rendered in stereoscopic 3D. WBA also creates the highly successful series of DC Universe Original Animated Movies for DVD. Producing for multiple platforms including TV, digital and home entertainment both domestically and internationally, WBA is highly respected for its creative and technical excellence, as well as for maintaining the Studio's rich cartoon heritage. It is also the home of the iconic animated characters from the DC Comics, Hanna-Barbera, MGM and Looney Tunes libraries. One of the most-honored animation studios in history, WBA has been honored with six Academy Awards®, 35 Emmy® Awards, the George Foster Peabody Award, an Environmental Media Award, a Parents' Choice Award, the HUMANITAS Prize, two Prism Awards and 20 Annie Awards (honoring excellence in animation). Xbox, Xbox 360, and Xbox LIVE are either registered trademarks or trademarks of Microsoft group of companies. YOUNG JUSTICE and all related characters and elements are trademarks of and © DC.